Up to this point I've been talking about hard rock gold deposits in the coastal ranges, but it's time to shift gears and cover gold placers in this region. Although many of the known placer deposits in the region are small in size and limited from a commercial mining standpoint, these deposits (and others that remain to be located) may hold decent potential for small-scale prospectors and miners.There isn't much information or literature out there concerning gold sizes and overall values in California's coastal ranges but I tend to think that most of the gold to be found there will range from micron-sized particles to small flakes and nuggets in some instances. One of the things I personally find attractive about the placer mining potential in the California coastal ranges region is that most of the efforts of other small-scale miners have been focused in the Motherlode's historic gold districts an hour or two's drive east. 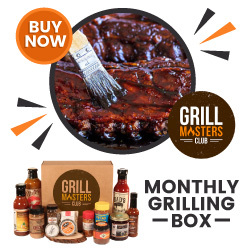 This may mean less competition and the chance of discovering "virgin" or semi-virgin ground (albeit limited in nature) for those you willing to put a bit of time and effort into prospecting and working the coastal ranges. Please note that some of the placer areas listed above may only have water at certain times of the year. Also, be aware that some areas may be gated, on private property, or placed off limits by one (or more) of the once-Golden state's anti-mining bureaucracies or special interest groups. I wish you well if you try your luck in California's coastal ranges. Let me know how you do, OK? If you liked this post, you may want to read: "'Can I Make a Living Gold Mining? (Part 3)'"
JR, I've driven over the Bear Creek a bunch of times and never thought of prospecting there. I looked up the area in the blm geocommunicator and when I select Mining Claims nothing (no claims) appears. Is the land in that area BLM or privately owned? I have no idea of the status of that area Phil. If anything, it may be private land...you'll have to do a bit of research. Best to you. J.R.
i've heared about old gold mines in sonoma county, but have never talk to someone that has pyhicaly mined it out of the ground here. ok i got to know the true facts on this. 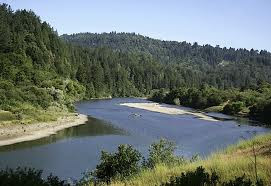 is there any gold in the MIDDLE FORK of the eel river? I've not heard of any placer gold being taken from the Middle Fork of the Eel. However, anything's possible since lots of gold mineralization is not that far away. You'd have to sample some likely areas to find out...but with so much gold elsewhere there in your neck of the woods, why bother? Best of luck, J.R.
Hello, i live in southern california inland empire lil town called perris. Is there any local sites where finding gold would be possible? Juan, your best bets in SoCal lie farther east and northeast...Randsburg area, E. Fork of the San Gabriel River, near Barstow, and near the Colorado River. Lots of old mining areas in the southeastern CA desert area. Piru area just north of Los Angeles has a bit of gold as well. There are numerous gold prospecting clubs in SoCal with claims and it may be worth your while to check with one of them or join one, if the spirit moves you. Best, J.R.
No problem Juan. Send your questions to me via my blog e-mail, OK? jr872vt90@yahoo.com. Best! J.R. Thanks for the info Jeff. Best, J.R.
How did you recover small amounts of placer gold on a San Francisco beach in 1983? I have heard that there is also gold on many San Mateo County beaches as well. By knowing where to look and what to look for. That and a simple gold pan. Best, J.R. I found a hunting app which outlines property and indicates who the owner is. 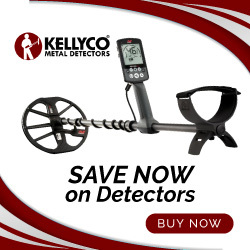 this is particularly handy for us gold miners and metal detecting enthusiasts, especially in Sonoma County where most land is private or just plain gated. I found a nice blob of BLM land real close to where I live, but there doesn't appear to be any obvious access. the app is called onX HUNT. very cool app. free for 5 or 6 days, then ya gotta pay. Hello Terrence my name is Jesse and I live in Santa Rosa. I would love to help you sample your property. I have a placer claim in Plumas County but this time of year it's just not feasible going out there. I know this isn't smart but I'm going to leave one of my junk emails. If I hear from you we can go from there. If you ever read this have a great day! I would also be interested to know where on Sulphur Creek gold occurs. ..